Premium Quality 28P2012 Usage Kit, 120V compatible with the IBM Infoprint 1130. The use of compatible supplies does not void your printer warranty. 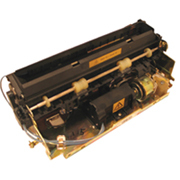 Premium Quality 28P2014 Fuser Kit compatible with the IBM Infoprint 1130. The use of compatible supplies does not void your printer warranty. Premium Quality 28P2625 Usage Kit, 120V compatible with the IBM Infoprint 1140. The use of compatible supplies does not void your printer warranty. Premium Quality 28P2627 Fuser Kit (includes fuser, roller, tool) compatible with the IBM Infoprint 1140. The use of compatible supplies does not void your printer warranty.